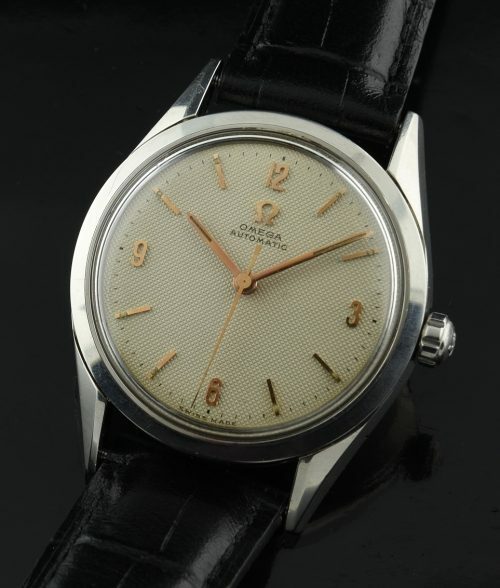 I love finding all original examples such as this 1955 OMEGA. 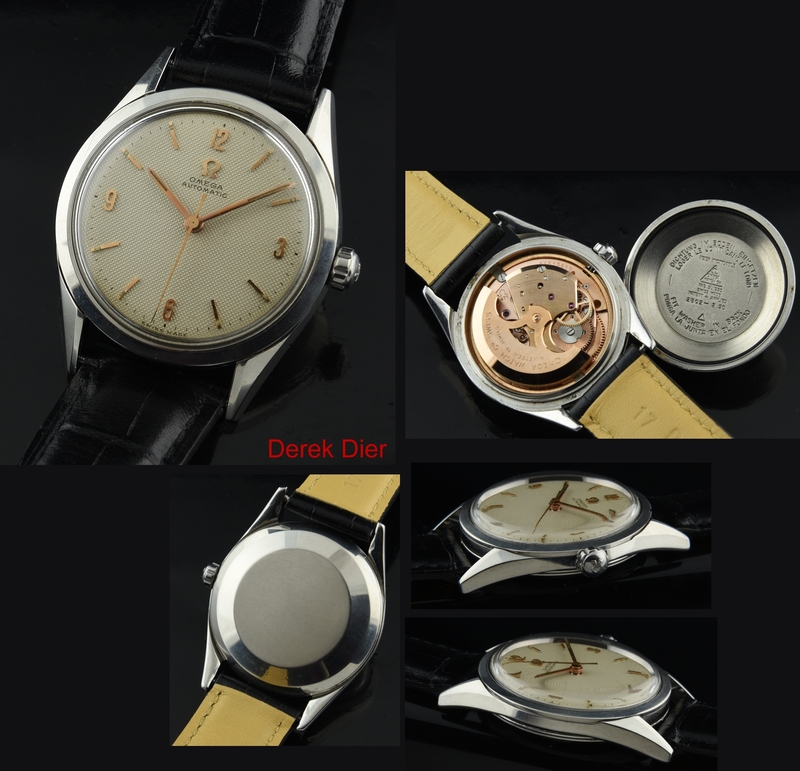 Look at this dial-amazing…Patek Philippe Calatrava-like in simplicity. Look at the condition of this all ORIGINAL honeycomb raised pattern dial with gold toned markers, numerals and matching hands. This watch was hidden in a drawer for years. The stainless steel case measures a subtle 33.2mm. and retains the unpolished beveled edges on the lugs. This case has NEVER been polished. The OMEGA winding crown is original. The automatic caliber 471 OMEGA movement glistens and was just meticulously cleaned. If you love simple, uncluttered fine watches, then this OMEGA is yours.